If you enjoy working with children and teaching others about natural and cultural history then this one's for you. 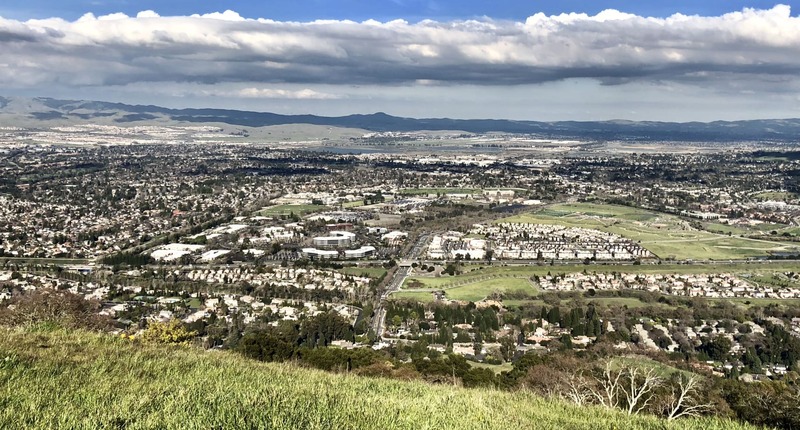 We're looking for people to join our community of lifelong learners to assist with our school programs at Del Valle Regional Park and Shadow Cliffs Regional Recreation Area! 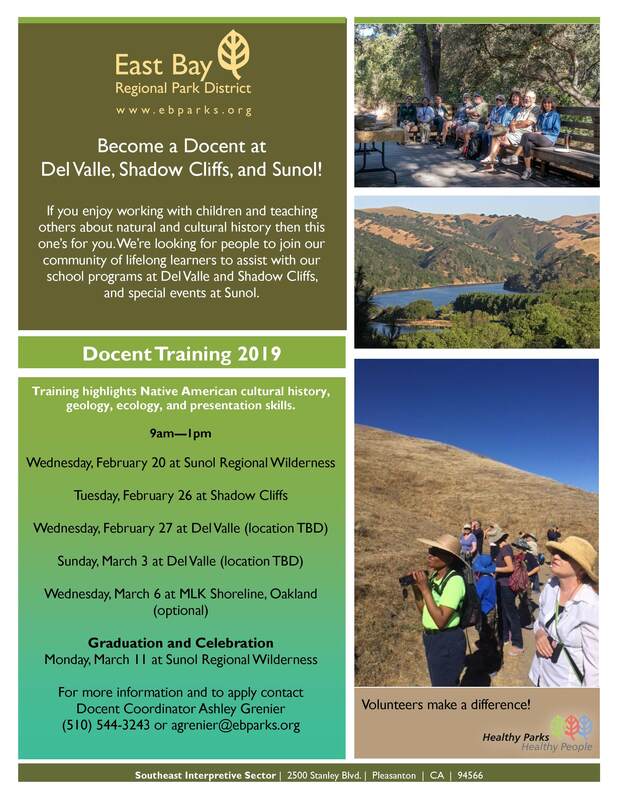 Special events, like the spring Wildflower Festival, and other public programming at Sunol Regional Wilderness is also a part of being a docent. For more information or to apply call Naturalist Ashley Grenier at (510) 544-3243 or email agrenier@ebparks.org. The upcoming training highlights Native American cultural history, geology, ecology, and presentation skills.